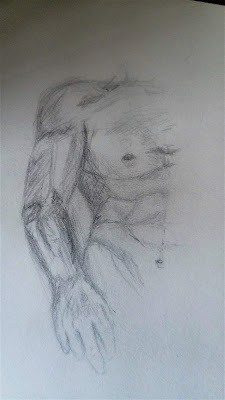 Briefer than Literal Statement: Sketches.. 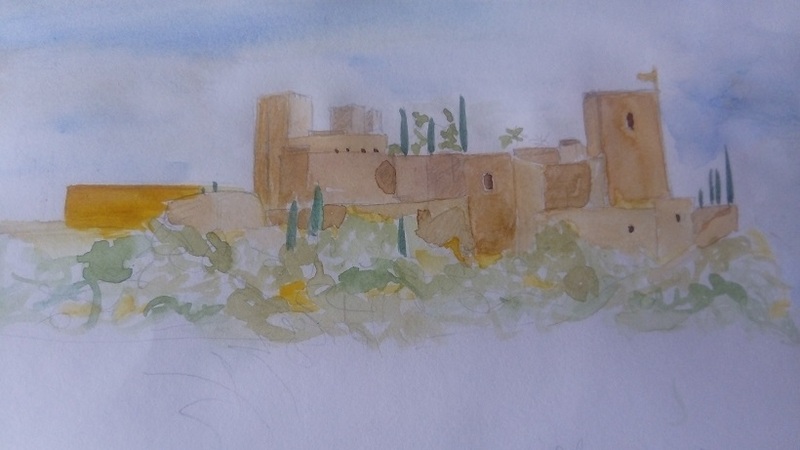 This is the best sketch of the Alhambra I did in the end and I'm reasonably but not completely happy with it. Reasonably happy because I'd got out of the habit of drawing and painting real things and took an art course in January to get my eye back in, which has clearly worked; but not completely happy because there is absolutely no sense of the scale and monumentality of the buildings in this picture. I am roughly the height of the plinth that David stands on, and the statue is of course enormous. But I seem to have drawn it as though I were looking at it straight on, rather than up at an angle. Which would be a neat trick if it was on purpose, I suppose, but it isn't, and it throws the perspective off. So at least I know what I need to work on.